Investors are accumulating enough bullion to fill Switzerland’s vaults twice over as gold’s most- accurate forecasters say the longest rally in at least nine decades has further to go no matter what the economy holds. Gold Coins Canada was founded to help our clients gain “Peace of Mind” over their investments. With all the "Ponzi Schemes", frauds and bankruptcies going on, people need an asset they can trust. We believe GOLD is that asset because it has stood the test of time and has existed as the currency of last resort for thousands of years. Our focus is on traditional and time tested strategies for building and maintaining true wealth. We have NO fancy contracts or derivatives of any kind, just 5000 years of genuine GOLD wealth behind us. Throughout all of economic history Gold has always returned to its natural state as honest money and this time will be no different. As a registered broker/dealer with PFG Precious Metals in Chicago, we are proud to have an experienced and licenced Series-3 Commodities Broker and Financial Planner on staff, which seperates us from most other dealers. Whether you're a private investor, fund manager or institutional investor, our powerful network of resources can provide you with the right product solution to meet your specific needs. We only deal with "Investment Grade" gold, silver, platinum and palladium bullion products, therefore when investing in these metals our clients are guaranteed a globally recognized and accepted quality product. We pride ourselves in sound investment principles, independant objective thinking and traditional business practices based on mutually beneficial, private and long-term relationships. Should Your Family Be On A "GOLD STANDARD?" There has been much debate in economic circles around the world on the "Gold Standard" and whether or not it's a sound method to base an economy on. Regardless, there is no question that, as a measure of wealth, Gold has outlasted every single currency and government that has ever existed throughout history. Gold has actually been used as a form of money for about 5000 years, there is no other financial product that can even come close to this fact. "Deficit spending is simply a scheme for the "hidden" confiscation of wealth. Gold stands in the way of this insidious process. 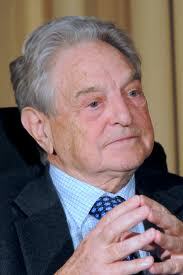 It stands as the protector of property rights." Now keep in mind that Mr. Greenspan said this before he became the FED chairman and that over the past fifty years or so, America's economic policies have been based on the theories of John Maynard Keynes and supported by the famous economist Milton Friedman. So let's try to put all the "smoke and mirrors" aside and get to the REAL fundamentals. Watch the video below of Milton Friedman and pay close attention to his remarks on DEFICIT SPENDING. Then watch former president Richard Nixon as he closes the Gold window on the U.S. dollar, and we all know the legacy Nixon left behind. 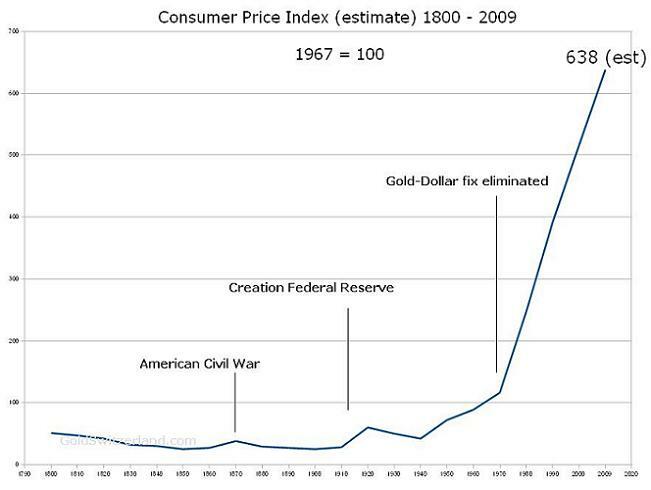 Here is a 200 year chart of the U.S. Consumer Price Index (CPI), and this does NOT include food and energy. Notice what happens around 1971? What was the price of bread 40 years ago? Didn't the U.S. dollar lose significant value since Nixon's decision to close the Gold window? 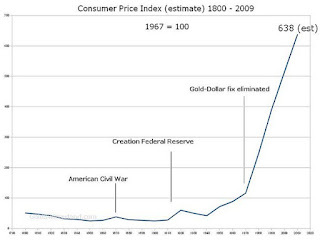 If Gold has been a measure of wealth for thousands of years and America was founded on a Gold Standard then there is a good reason for the Federal Reserve along with other central banks to have Gold in reserve, is there not? Is Gold the only real insurance against the loss of confidence in a government and its financial system? Read this ARTICLE then watch the video on our website below and draw your own conclusion. An eye opening private conversation between two traders who are NOT connected to Wall Street, so these are unbiased opinions. Central Metals Corp., is a registered Ontario Corporation. Central Metals Corp., its officers and directors do not make any representations, warranties or guarantees, express or implied, regarding the accuracy or completeness of the information displayed on this website. The information is supplied by us with the express condition, to which everyone using it is subject, that no obligation, responsibility or liability shall be incurred by Central Metals Corp., or its officers and directors for any loss or damage, whether incidental, special, indirect or consequential, in connection with, caused by or arising from any use of or reliance upon the information contained on the Central Metals Corp. website. Central Metals Corp., is a dealer in the precious metals market and this website is designed for marketing and information about our company. The opinions, views, recommendations and advice expressed on this website by third parties, should not be considered an endorsement or approval by us. Third party links to other websites are for convenience and information only. We do not directly receive any compensation from any of the links we provide in our "Favorite Resources" section. These links are there to provide our readers with informational sources that we feel are pertinent to the precious metals market. Even though Bosko Kacarevic is an experienced and licensed Series-3 Commodities Broker in the U.S.A. and a former licensed Financial Consultant and Life Insurance Representative in Ontario, Canada, he is not registered in "active status" as such. Therefore we recommend that all our readers and clients seek professional advice from a qualified financial advisor in your own country. The precious metals market is a highly volatile and risky market and we recommend that everyone do their own due diligence before making any investment decisions in precious metals or otherwise. 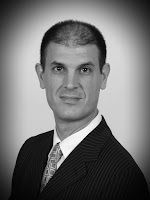 Bosko Kacarevic's opinions and views are his own and personal, and should not be considered financial advice or endorsed by the third party sources on this website. Central Metals Corp., is a private Ontario corporation. All the prices and quotes posted on this website are not the official prices when buying or selling precious metals with us and we recommend that everyone call us first to get an official quote from us. We do not accept trade orders via e-mail, fax or voice mail, any trades must be placed with a live person over the telephone. As with the Gold ETF's, they are designed to TRACK the value of the underlying shares or derivatives of the ETF and the funds are held with costodial banks and sub-costodial banks. They are designed to be a "trading" vehicle for speculators and sometimes ETF's move opposite to the market, which is NOT what we want when investing in Gold. For people who want access to the Gold market and do not want to take delivery, we recommend our GSAP Account or the U-Vault Account. Speaking Freely - Chalmers Johnson on American Hegemony from Ice Goldberg on Vimeo.